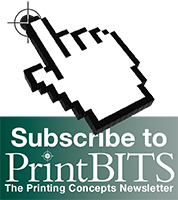 The Postage Increase of 2014 - Printing Concepts, Inc. The United States Postal Service today announced proposed price changes from 46 cents to 49 cents. The proposed changes, which would go into effect in January 2014. WASHINGTON — The United States Postal Service today announced proposed price changes, including an increase in the price of a First-Class Mail single-piece letter from 46 cents to 49 cents. The proposed changes, which would go into effect in January 2014, are intended to generate $2 billion in incremental annual revenue for the Postal Service. The Governors of the Postal Service voted Sept. 24 to seek price increases above the typical annual increases associated with changes in the Consumer Price Index (CPI). In a letter disseminated to customers today, Board of Governors Chairman Mickey Barnett described the “precarious financial condition” of the Postal Service and the “uncertain path toward enactment of postal reform legislation” as primary reasons for seeking price changes above the CPI increase. He also indicated that the price adjustment above the CPI increase is necessary in order to ensure that the Postal Service will be able to maintain and continue the development of postal services of the type and quality which America needs.